Fundraising is an exciting way to use your skills, talents and expertise, while raising money for women and their children who are fleeing domestic violence and abuse. Whether on your own or with a group of friends, hosting your own fundraising event for Women’s Crisis Services is a great way to help us help abused women and children. From a family fun day to a black tie dinner to creating your own online fundraising page – there are lots of ways to get people together to help raise money for Anselma House and Haven House. We provide you with any support you need – including a dedicated fundraising contact, and materials like event posters, donation forms, our logo, and a script to read at your fundraising event. For more information, or for help completing the application form, please contact Jenna Mayne, Communications & Fund Development Manager, at (519) 741-9184 ext 2003, or email jenna.mayne@wcswr.org. What is a third-party fundraiser and why should I host one? A third-party fundraising event is when a business, organization, community group, school or individual hosts an event or program to benefit Women’s Crisis Services. This includes online fundraising campaigns. It is planned and executed independently of Women’s Crisis Services.Women’s Crisis Services is funded partly by local donations. In order to help abused women and children, we need your help. It is as simple as that. I want to organize a fundraiser for Women’s Crisis Services but I’m not sure what to do. Listed below are some ideas of the many ways that you can help raise funds and awareness for Women’s Crisis Services. This list is by no means exhaustive. Let your creativity guide you! Collect Donations: Set out collection canisters next to cash registers to encourage your customers to help you support Women’s Crisis Services. 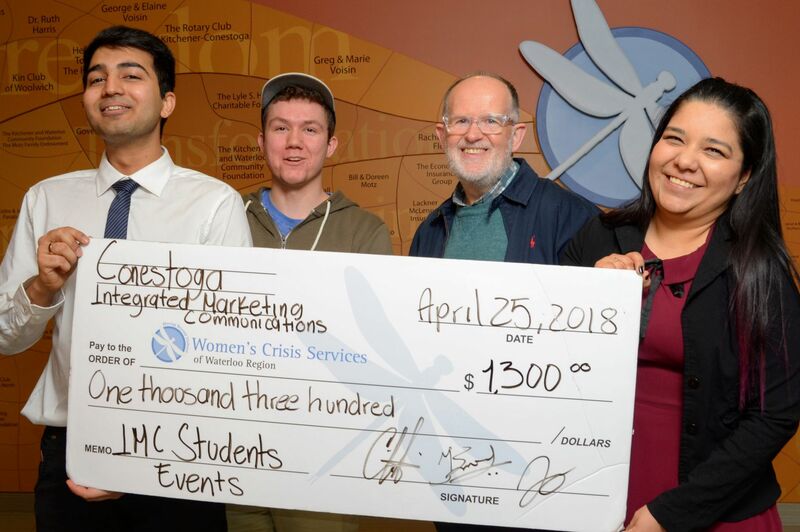 Designate Women’s Crisis Services as the beneficiary for your event: If your business or organization hosts an annual event that generates funds, consider donating a portion of the proceeds to Women’s Crisis Services. I want to host a fundraiser. What should I do next? Option A. Complete our online application form. Option B. Print and complete our paper application form. Option C. talk with Jenna Mayne, Communications & Fund Development Manager, at (519) 741-9184 ext 2003, or email jenna.mayne@wcswr.org. What will Women’s Crisis Services do to help with my fundraiser? We give you a pop-up display to show at your event. We give you donation forms and envelopes so that your participants can donate by cash, cheque or credit card and receive a charitable tax receipt from us. We give you instructions on how to collect donations at your event. And we give you an approved message that you can deliver at your event to describe our agency (who we are, what we do, who we help). We give you a supply of brochures that describe our agency. What can Women’s Crisis Services not do for my event? Women’s Crisis Services may provide, if requested and if available, volunteer support, a speaker or representative at the event, display or brochure materials. Got a fundraiser in mind? Tell us about your fundraiser using one of the three options below. When you apply, we’ll send you our fundraising toolkit which is packed with helpful information. And one of our Fundraising Managers will be in touch to give you all the support you need with getting your fundraising off the ground.